Report highlights industry shake-up - but is it a bad thing? The proposed takeover of Qualcomm by Broadcom has already been met by a firm rejection. End of the story? Probably not, we know how these things usually end: the firm rejected is countered with an increased bid. A slightly larger bid will go in, to be met with an equally firm rejection. An even larger bid goes in ... and so on, until eventually all is sweetness and light and the two firms become one. It’s a situation we’ve seen many times over the years (often involving Oracle) and it’s certain we’ll see again. Anyone who’s a football fan will recognise the signs: the bid comes in for a player, it’s fiercely resisted, the bids come thick and fast and, within a week, the in-demand player is in his rival’s shirt and kissing his rival’s badge. No-one’s expecting the Qualcomm board members to be lining up to kiss the corporate logo any time now but given the way that the industry is progressing, a tie-up is inevitable. We’ve already seen Softbank take over ARM; Intel snap up Altera and Chinese-backed venture firm Canyon Bridge swoop for Imaginations. This last named was somewhat controversial as president Trump had already rejected a Canyon Bridge bid for Lattice Semiconductor on the grounds of national security (the reason given for president Obama’s refusal for the takeover of Aixtron). But, if national security is not available as an excuse is the field clear for a frenzy of acquisitions? A report published just recently says that this is indeed likely to happen. 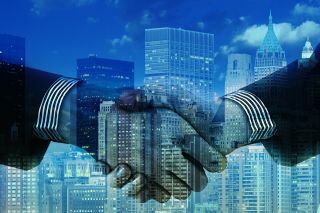 A report from investment company, The AlixPartners states that while the TMT (Technology Media and Telecommunications) industry is set for growth (market capitalization in 2020 expected to increase by about 30% from 2016’s $13 trillion), there are plenty of signs of consolidation. Perhaps the starkest sign of the level of shake-up is that nearly 1300 software application companies have left the business in the past 20 years – all this at a time when the apps market is booming. Indeed, the AlixPartners report suggests that market capitalization of this sector has risen from $30 billion to $630 billion, but despite that increase of more than 20-fold, the number of companies in the sector has risen from just 400 to 600 – such has been the level of shakeout. But, according to AlixPartners CEO, Francesco Barosi, this is not happening by accident, there’s now greater emphasis on quick acquisition. “There are more and more companies that are essentially getting funding quickly so they can be valued in multiples. Take software companies, where you can have margins of 90%: no-one is asking what’s a sustainable R&D strategy? he says. What Barosi is seeing is a return to the heady days of the Internet and the lead-up to the crash, with the emphasis on eyeballs and little emphasis on sustainable business. This is a long way from the way that businesses used to be run. As mentioned earlier, ARM was acquired by Softbank last year but a brief look at ARM’s history is instructive: it was formed in 1990 but didn’t float until 1998 and wasn’t acquired until 2016. So, what’s the long term future for the mobile industry? Is the going to be a level of disruption as we’re seeing in the components sector? Are we going to witness the frantic dash for cash that software firms are gunning for? There have certainly been attempts to spice up the market. There have been two attempts at major mergers in the market in the past couple of years: the Three and O2 tie-up and the Sprint and T-Mobile merger: both fell through, the former because it fell foul of competition regulation, the latter because they just couldn’t agree on the right terms. We can’t be too far short of the type of mega-merger that Three/Os or Sprint/T-Mobile could have been. Certainly, in the UK, there will be some envious eyes cast at the strength of BT, with its fingers in fixed line communication, mobile and broadcasting. Sooner or later, we will see a further attempt to disrupt that sort of strength – probably not, as was the case with Three and O2, with two players in the mobile arena but between two companies from differing sectors. In truth, as The AlixPartners report makes clear, the whole history of technology has been littered with takeovers and mergers, it’s the way that the industry continually refreshes itself. AlixPartners’ Barosi talks about offering a strategy for survival but maybe survival isn’t the best way – maybe that takeover is the right way after all and putting up barriers is delaying the inevitable. All industries renew themselves: we don’t talk of the fallen idols of the automotive industry any more but of the brands who have survived up till now. We talk of the advances that we’re seeing – in connected cars, in engines that heal themselves, in self-driving vehicles. The technology industries have been even more rigorous about re-inventing themselves, if a company is lost to the world, there’s a reason for it. That star centre forward will only resist the blandishments of a bigger club for so long and that’s the way it should be.